What to do about Liberia's island colony of abandoned lab chimps? The story of Liberia’s former research chimpanzees is both well-known and contentious. A non-profit blood bank, the New York Blood Centre (NYBC), set up a virus-testing laboratory in the country in 1974, and wild chimpanzees were trapped from their forests and housed within the “Vilab II” facility. They were subjected to medical experiments and were intentionally infected with hepatitis and other pathogens to help develop a range of vaccines. By 2005, the director of Vilab II, Alfred M Prince, announced that all research had been terminated and that the NYBC had started to make “lifetime care” arrangements for the chimpanzees through an endowment. 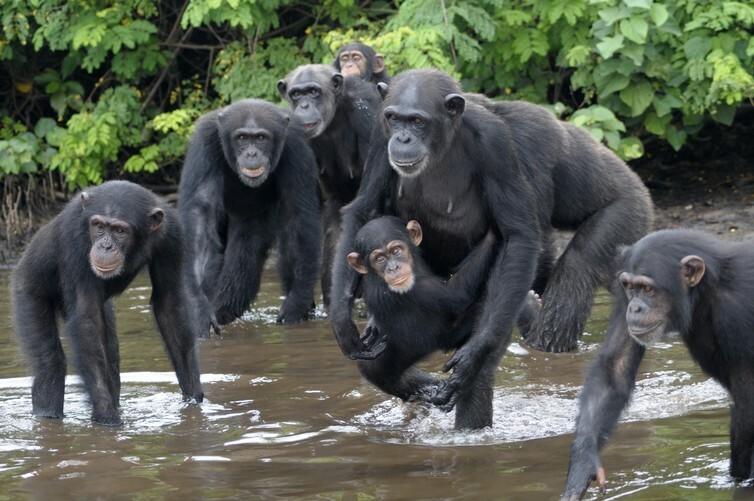 Over the next ten years, the chimps were “retired” to a series of small islands in a river estuary, receiving food, water and necessary captive care (at a cost of around US$20,000 a month). Then, in March 2015, the NYBC withdrew its help and financial support and disowned Prince’s commitments. The move left about 85 chimps to fend for themselves. Escape is impossible, as chimpanzees are incapable of swimming well, and many are suspected to have likely died from a lack of food and water. Although the Liberian government owns the chimps as a legal technicality, the day-to-day management of the chimps and the experiments were carried out by NYBC and it in no way absolves it from ultimate responsibility. But it has used this to distance itself from calls for it to continue funding care. In a statement last year it said it had had “unproductive discussions” with the Liberian government and that it “never had any obligation for care for the chimps, contractual or otherwise". It has also said that it can “no longer sustain diverting millions of dollars away from our lifesaving mission”. Understandably, animal rights groups are vocally opposing the blood bank’s actions. This is not a discussion about the ethical nature of animal testing for medical use. Regardless of how they got there, nobody could argue that these sentient apes do not deserve access to food and water. As a primatologist, I am interested in how a group of semi-wild former lab chimps are now cared for, where they harbour both diseases that could pose a threat to other animals and zoonotic diseases, which may be transmitted to humans. After receiving a call from the Humane Society of the United States, animal welfare and great ape specialist Jenny Desmond and her wildlife veterinarian husband Jim moved to Liberia in November 2015 to coordinate the work there. They lead a small but dedicated local team that is now offering these abandoned apes a brighter future. I spoke to the Desmonds recently. Of the chimps currently on the islands, they told me, 11 were born after 2006 due to lack of proper birth control. Jenny estimates that “30 of the adult chimpanzees ‘retired’ in 2005 have died”. Without the contraceptive implants often used in sanctuaries, the population became unmanageable. Reintroducing these animals to the wild is not a possibility. Release programmes are controversial and these chimps could infect wild chimpanzees with the diseases they were once inoculated with. 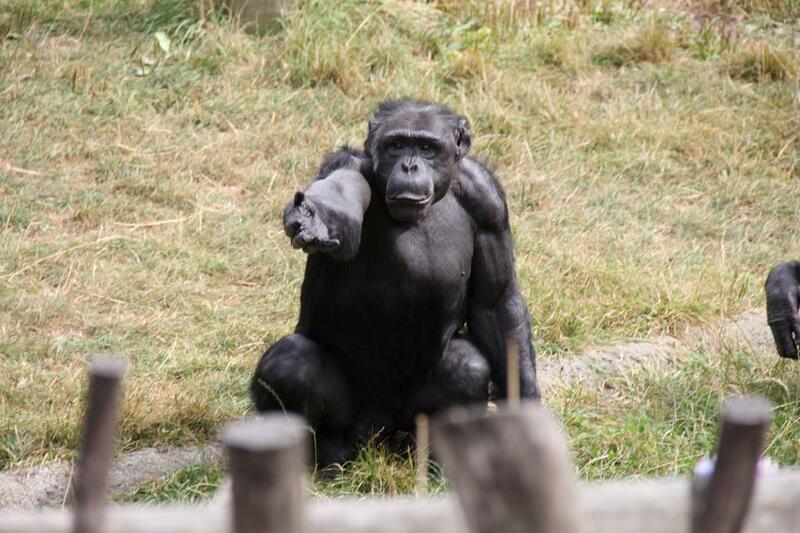 “We don’t even know exactly which chimps were inoculated with what diseases,“ Jenny said. With a life expectancy of 60 years or so, it is now vitally important to provide the best care to these animals. There are currently 63 chimpanzees spread across six islands in groups of between nine and 13. Fortunately, when the Desmonds arrived, they found a dedicated and well-trained staff already close at hand, as many of the former local NYBC employees who had worked with the chimpanzees for decades are still in the area. Yet a lack of infrastructure on the islands and mainland has made targeted monitoring and treatment almost impossible. The chimpanzees range freely on the islands and there are no holding facilities, meaning individuals cannot be separated and health checks routinely be given. Our two primary goals when we arrived were to improve the diet of the chimpanzees and implement a birth control programme. We revised their existing diet, adding variety and flexibility, making it more nutritious and allowing for more effective food procurement. We also switched from NYBC’s former every-other-day feeding schedule to daily feedings and hope to eventually move to a twice-a-day system. The chimps' overall health has already improved dramatically and the birth rate is now coming under control, thanks to daily progesterone pills. Their future is by no means secured, however. Crowd-funding is being used to help with the high monthly care costs and long-term funding is not assured. 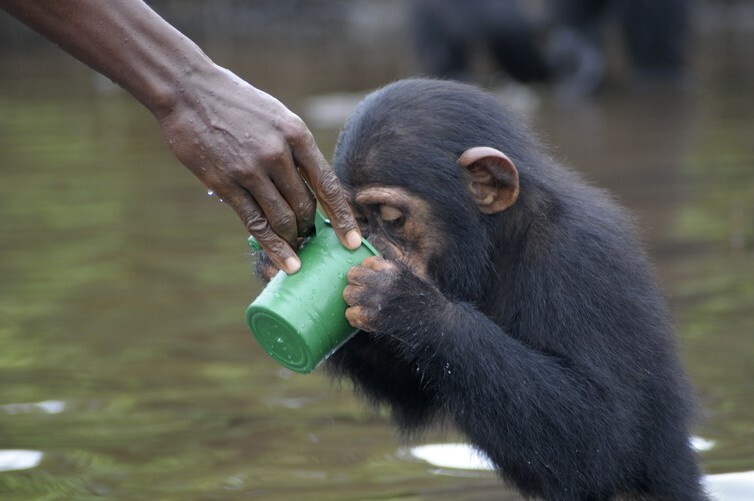 The NYBC chimpanzees of Liberia were used for decades in order to develop treatments intended to save many human lives. However, after the research finished and a decision was made (rightly or wrongly) to keep the chimpanzees alive, those animals were then at the mercy of others, and this should rightly be the medical research community. NYBC was unavailable for comment. However, this situation is an important case when it comes to the treatment of former laboratory animals, from both a moral and scientific perspective. Captive management of any sentient species is often complex. But when the animals were used for experiments, there is surely an implicit obligation for the research community to care for them when they are no longer of any scientific value.